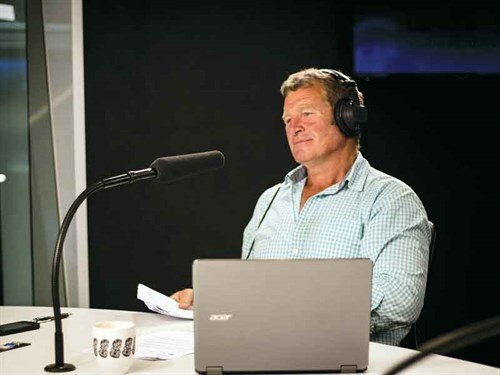 His latest role with Rural Exchange radio show is the perfect complement to his rural roots in Christchurch where he still farms today. 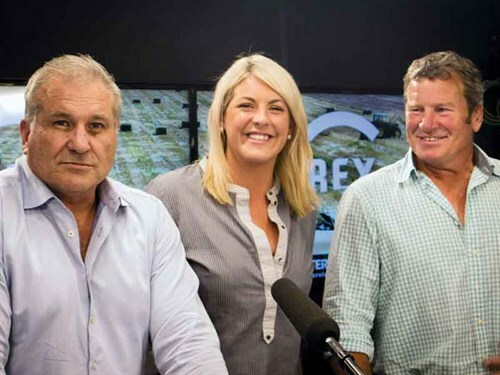 As co-host of Radio Live’s Rural Exchange with Hamish McKay and Sarah Perriam, Richard forms part of the expert line-up every weekend (5 to 7am) and can also be watched on demand at radiolive.co.nz. When not on air, Richard runs a Dohne Merino stud on his 160-hectare property on the banks of the Waimakariri (Oxford side). While production is 90% grass and baleage, he occasionally plants a winter crop depending on the season. 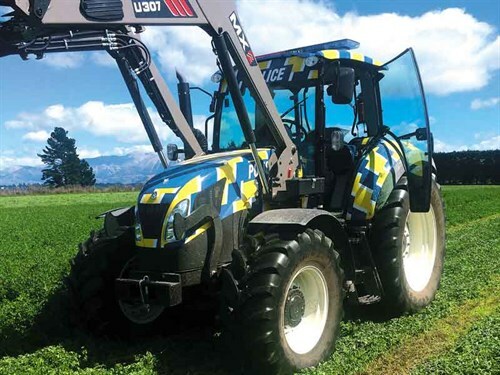 His new workhorse – the latest addition to his tractor fleet – is the eye-catching New Holland police tractor used for everything from loading trailers to general farm duties. Richard has recently been appointed as New Holland brand ambassador. From his days in the first XV at Christchurch Boys’ High School (captained by Steve Hansen), Loe was pursuing a career with a stock agency firm before making his senior rugby debut at just 17. He went on to play for Canterbury and Marlborough before spending the bulk of his club career with Waikato and then returned to Canterbury. His international debut was against the French Barbarians in 1986 and he went on to represent New Zealand in the Rugby World Cup three times before retiring from the sport in 1995 with 49 tests under his belt. Although his involvement in the sport continued as a sports columnist, he was just as happy enjoying life back on the farm and cheering his three children on in their sports (two of whom represented New Zealand in rowing; one is now a world champion, one is retired, and his son plays rugby for Glenmark). 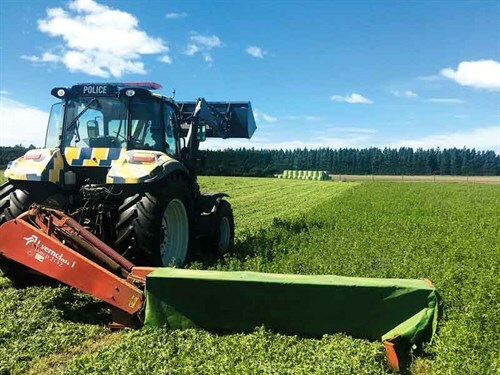 These days, the family man juggles running the farm with some public speaking and his Rural Exchange work as well as being a Safer Farms ambassador for WorkSafe. The irony of almost missing the launch show of Rural Exchange isn’t lost on Loe, who despite his awareness and caution around farm safety, suffered an accident while off-loading a pod of milk into 200-litre drums. The pod suddenly came off the front-end loader, and while he thought he was standing at a safe distance, he was near enough for it to glance him and propel him into the plastic drums. After suffering what he downplays as ‘a reasonably good head-gash’, he didn’t waste any time getting himself to the hospital to be stitched up immediately. 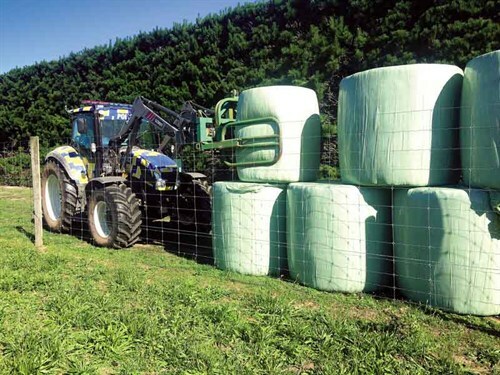 "It’s a good reminder that even if you are careful and do take all the right precautions on the farm, sometimes these things just do happen." Following the incident, he used the opportunity to ‘walk the talk’ of his role for WorkSafe, and publicly worked through what happened, identified the risks, and shared the information. "As a WorkSafe ambassador, I’m always conscious of being safe when I’m working on the farm, and look what happened to me," he says. "The majority of fatalities happen in or around vehicles, and I was incredibly lucky that I wasn’t crushed or cut an artery. I could have become a statistic and it was a huge wake-up call." So the opportunity to chat and spin a yarn with everyone, from farm workers to politicians and business leaders involved in the rural industries, is one he relishes. "Rural Exchange gives us the opportunity to create awareness and discuss what’s happening on the land and in the rural sector. We’re meeting some great people, hearing their stories, and highlighting some serious issues affecting our livelihoods and businesses." To hear Richard Loe and the Rural Exchange team, tune in to Radio Live’s Rural Exchange every weekend (5 to 7am).